Founded in 1999, Deck Solutions, LLC, has been specializing in designing, maintaining, and installing some of the best decks and patios you have ever seen. With our DIY deck design planning in St. Charles, Deck Solutions will ensure you get the exact deck or patio you want. 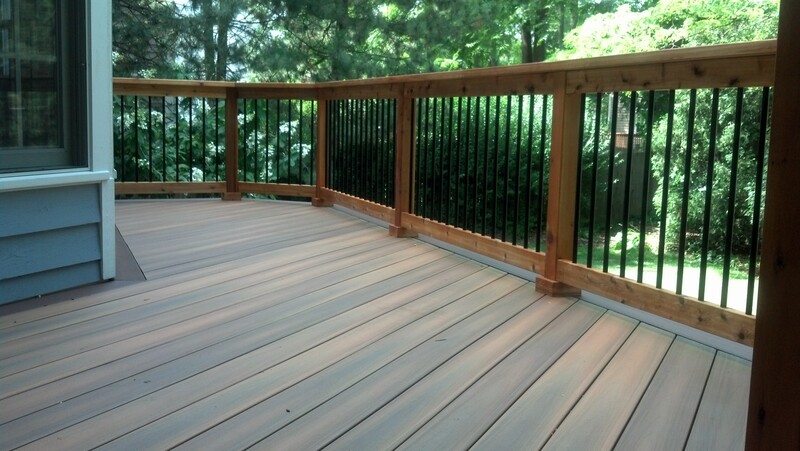 Deck Solutions are truly the outdoor specialist. If for any reason you have any questions or comments about our DIY deck design planning in St. Charles, feel free to give us a call at 630-513-9411 or fill out the form on the right. Our highly experienced and dedicated team along with our DIY deck design planning in St. Charles service can build one of a kind decks and patios the only limit is your imagination. Deck Solutions will make the permit process and list of materials simple so you can focus on the project at hand. Deck Solutions builds quality products and wants to help you create a beautiful outdoor living space utilizing our DIY deck design planning in St. Charles. Our detailed plan view includes framing, decking, and railing detail to give you a variety of options. Our 3D DIY deck design planning in St. Charles will give you a great idea of what your deck or patio will turn out like. It is a very detailed software that is a life saver when you want to make changes to your concept. Visit our 3D design page to see some of our concepts Deck Solutions has come up with over the years and get an idea of what our DIY deck design planning in St. Charles can do for you. If for any reason you have any questions or comments about our DIY deck design planning in St. Charles, feel free to give us a call at 630-513-9411 or fill out the form on the right.